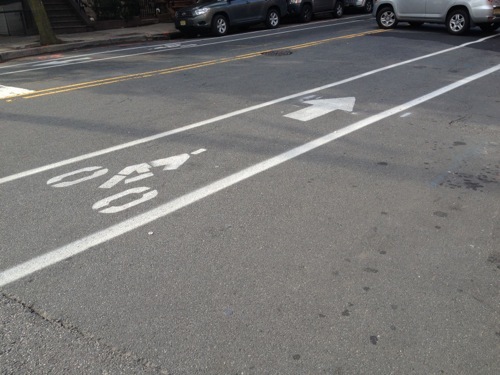 Jersey City has built a bicycle lane to a remote Alaskan island no where. 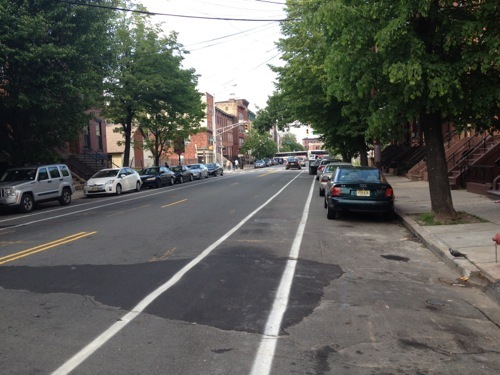 While its great to see Jersey City finally experimenting with non-car transportation means, particularly after widening Columbus Drive, the short segment of bicycle lanes is barely enough to get a bike rolling. Still we’ve seen a few bicyclists navigating the double parked cars. The lanes only run along Grove Street between Grand and Columbus, a route so short that a wrong color traffic light might mean walking the length was faster. The project is meant as a test case by the city, but for now they are real. Meanwhile, next door in Hoboken, the mile square city has recently committed to adding 10 miles of bike lanes on the streets. 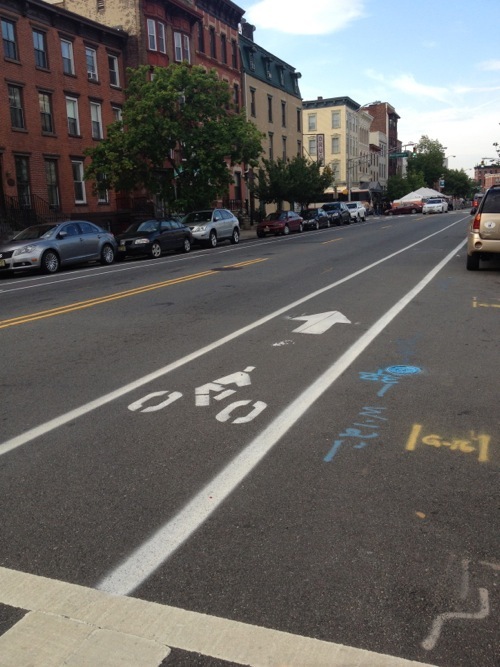 As a proportion of its roads, Hoboken will become the number one city for bike lanes in the United States. To us it seems a bit odd that the Healy administration still needs to experiment with a “technology” proven, literally, the world over. But its probably harder to understand how to run a city after a few breakfast pints.